Flin Flon Minor Hockey will be hosting a mid-season goaltending clinic December the 28th and 29th at the Creighton Sportex. It is open to any kids 8-13 and it will start at 8:45 both days. There will be two ice sessions both days and will be a geat refersher course for the stretch run after Christmas. 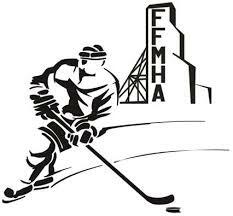 You can register on the Flin Flon Minor Hockry web-site and you can call 204-489- 7465 for more information.